Is that a slight tweak to the logo, now using Reith? DOG looks like the original though. Are there any changes to An La? 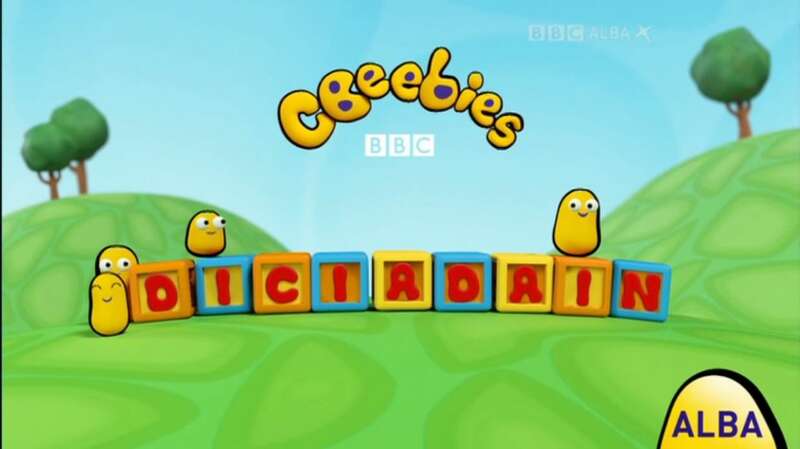 Also, it's CBeebies. Not Ceebies. 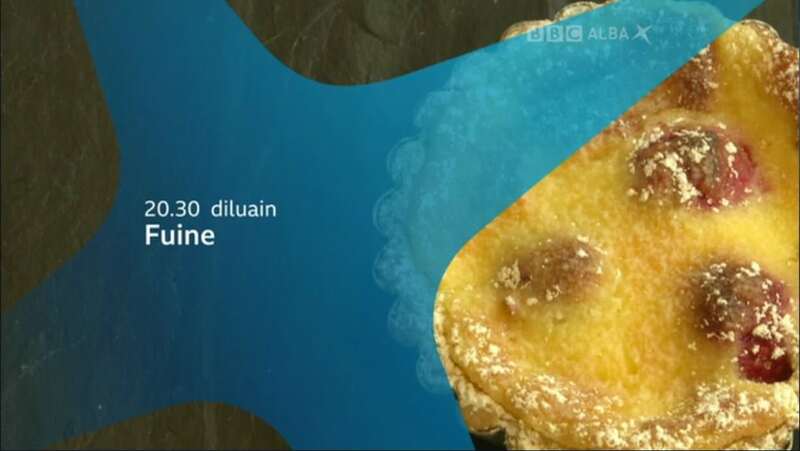 It's Gaelic, not Galice too..... But if everyone corrected his spellings we'd be here all day! 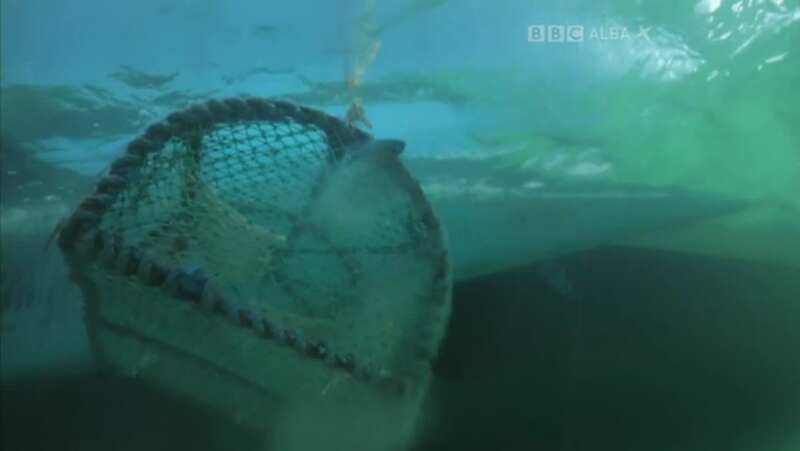 The CBeebies and CBBC things are interesting, are they in Scotland or are they sending Gaelic speaking presenters down to Salford to record batches of links? Interesting. 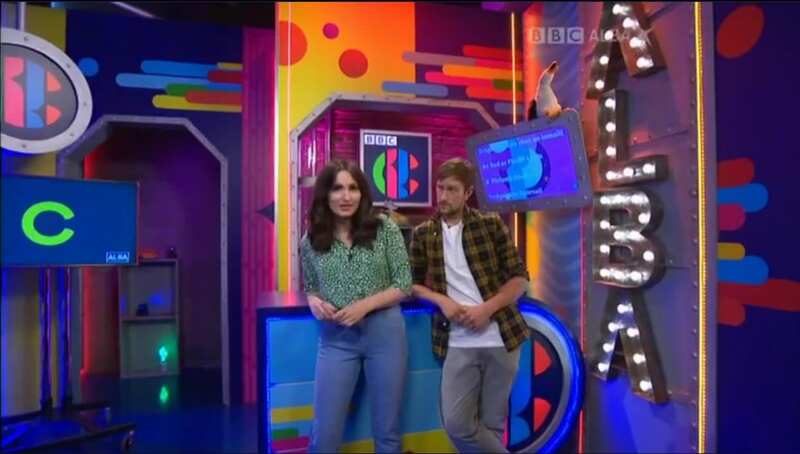 Never thought they would have the budget to duplicate CBBC/CBeebies for their own version. 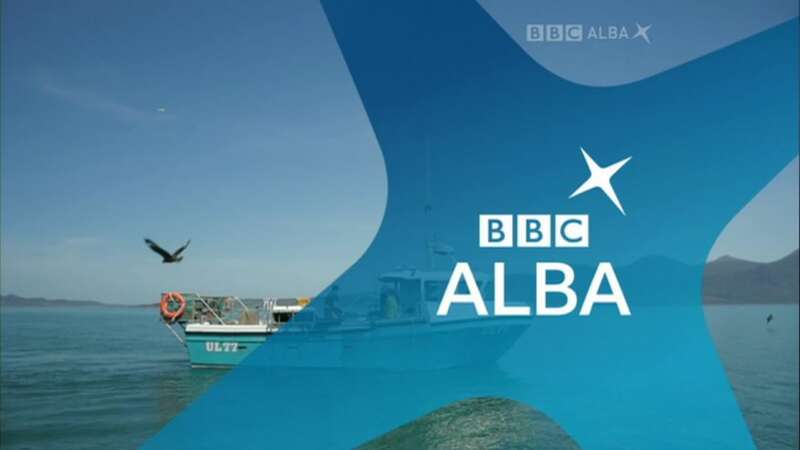 That Alba logo and on screen text has been updated for Reith. Slowly but surely the changes are coming. 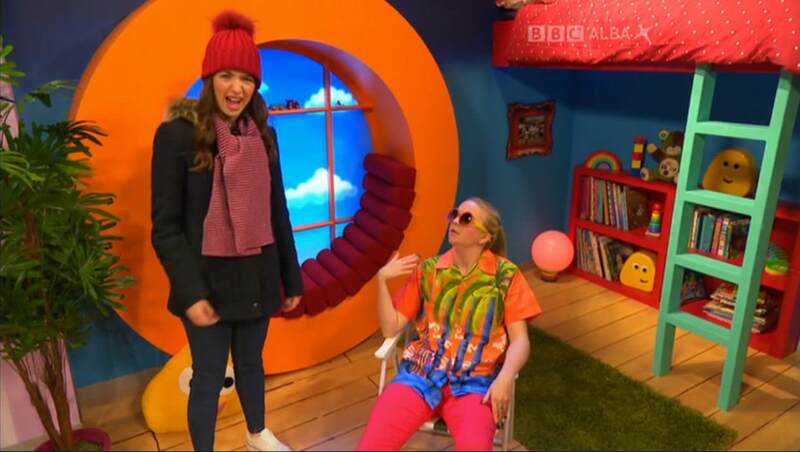 Would it not be more cost effective to get the presenters down to film links on CBeebies downtime instead of building identical sets in Scotland for a relatively minor audience? Also, when is that Alba DOG going to be moved out of the 4:3 safe zone? They have widescreen TV's in Scotland I'm sure! I wonder if this the kids Studios are in Dumbarton? Why would a small one-off cost be cheaper than a regular cost? It would be aesthetically better if they used Salford's studios. The graphics and studios look budget as it is. They'd probably have to prerecord links though. Building and maintaining a set isn’t going to be a small one off cost.